Comfort Care Dental has been serving patients in Balcatta and Stirling areas for 40 years, often with three generations of the same families under our care. As a community-orientated practice, we get to know our families, and we’re never too busy to take care of you, especially if you’re in pain. It’s the type of care and service we provide that sets us apart. The staff at Comfort Care Dental are proud of our technology which makes treatment easier and more comfortable, drastically reducing procedure time and healing time. Staying on top of technology enables us to treat patients much more comfortably and in less time so that you can get back to your day quickly without discomfort. Our practice offers advanced techniques including laser, rotary endodontics, CEREC® same-day crowns, PEIZO, centrifuge, guided implant surgery and an OPG machine for on-site X-rays. You’ll find the atmosphere at Comfort Care Dental friendly and comfortable, with all staff dedicated to helping our patients. We won’t keep you waiting unattended, and offer refreshments while you are waiting to be seen. Many of our dental community’s families have three generations in attendance at our clinic. As such we are well- equipped to cater for all ages from children to parents and grandparents. Everyone is at a different place in life’s journey, and we are here to accommodate all your dental needs throughout the various stages of life. we offer payment plans for implants and any cosmetic work with Mysmile plan; it offers 0%interest for up to 15 months. 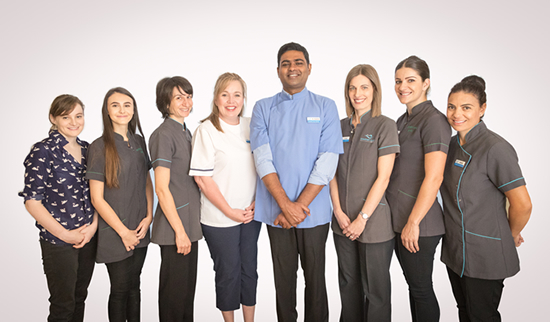 Book an evening or Saturday appointment with our warm, caring dentists today. Personalised payment plans are also available. As always, new patients are always welcome.